The Avalons are more than an average band, they incorporate comedic antics and costumes to provide their audiences with a fun show. 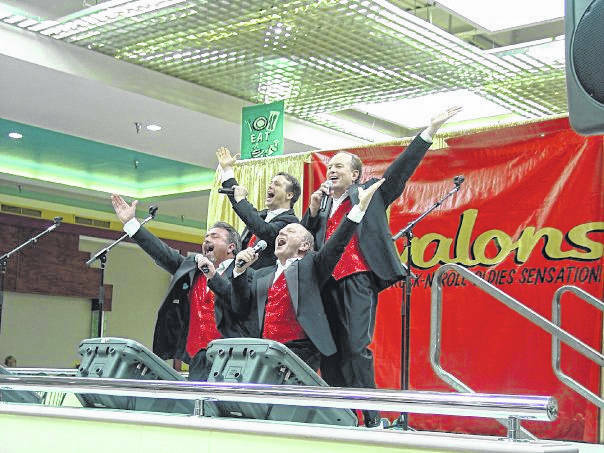 Even though The Avalons perform oldies tunes, their show is one for the whole family because of the amount of laughs and fun it packs. POINT PLEASANT — This weekend, a rock’n’roll flash back will be happening at Riverfront Park. The Avalons, a musical group from Ohio known as a rock’n’roll oldies sensation, will be performing on Saturday, June 16, 8 p.m. at the Riverfront Park stage. Tom Caldwell, member of The Avalons, commented this is the first time the he and a few of his fellow members will be performing in Point Pleasant as The Avalons. He said in the early 1990’s they performed at the Mason County Fair when they were in the original group Sh-Boom. Caldwell said The Avalons have had many shows in West Virginia and all of the members have questioned why they have not performed at the Riverfront Park stage yet. He and the fellow members are excited to perform at the venue and are also excited to get a picture with the Mothman statue at Gunn Park during their visit to the community. The Avalons is comprised of Caldwell, baritone-bass vocals, trumpet; Greg Couch, baritone vocals; Gary Royse, tenor vocals, tenor sax, guitar; Gary Thompson, high tenor- falsetto vocals. Caldwell commented the group is more than just a band. They involve the entire audience during their shows. Caldwell explained they have “silly bits and crazy costumes” throughout the show creating an enjoyable, comedic feel. He said the audience will enjoy a memorable journey through the fifties, sixties, and early seventies and be taken back to the fun times those years provided them. Caldwell explained even though they perform oldies tunes, the show is one for the whole family because of the amount of laughs and fun it packs. “Those who have never seen us are in for a treat,” said Caldwell. According to the The Avalons website, they have performed in several sorts of venues ranging from arts venues, corporate and industrial events, fundraisers for organizations, fairs and festivals across the United States, Canada, Mexico, and the Caribbean. They even perform on select cruise ships. They have shared the stage with many popular artists such as The Beach Boys, America, The Four Tops, The Temptations, The Smothers Brothers, The Vogues, and The Mamas & Papas. The Avalons began their musical adventure in 1987 as Sh-Boom. Two fellow broadcasters at an oldies station had a conversation about a show they had promoted the night before. They compared notes about the bands, plays, and stage shows they had been involved in through the years and decided they could produce a great show and fifties and sixties rock ‘n’ roll was one of their passions. The pair decided they wanted to be a show with all the entertainment element such as involving costumes, choreography, audience participation, and wacky humor while playing the oldies. Two additional members were added to help recreate all the great sounds of the great oldies artists. 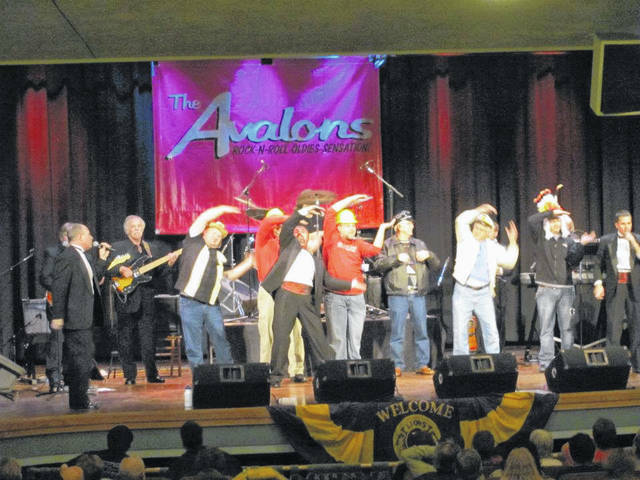 Though the musical group went through name changes and personnel changes throughout the years, in 2011, The Avalons as it is today was formed with Sh-Boom originals Caldwell, Royse, and Couch, along with The Legends original Thompson. Tickets to the show are $10 per person and they can either be pre-purchased or purchased at the entrance prior to the show. Tickets are available at the Main Street Point Pleasant office, Peoples Bank, Point Pleasant City Building, Homestead Reality, City National Bank, Mason County Tourism Center, Four Seasons Florist, and Fruth Pharmacy. Some information from The Avalons website was used in this article.